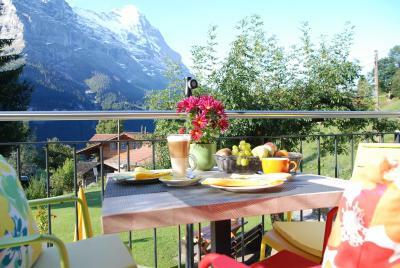 Lock in a great price for Hotel Lauberhorn - Home for Outdoor Activities – rated 8.6 by recent guests! I like the hospitality of the owner. We are treated like a family. We had a great stay at Hotel Lauberhorn. 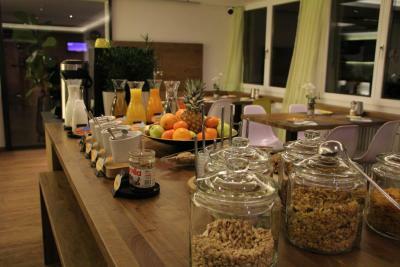 The staff were very friendly and helpful, the room was comfortable, breakfast was delicious. The view from our balcony was incredible! We loved having free parking, WiFi, breakfast, and bus pass! It’s not a luxury hotel, but it was perfect for us. Highly recommend! Great close to everything destination. Excellent breakfast, great view from room, as shown in pics. The staff went out of their way to explain our different hiking options and which might be best for us, that was very much appreciated with so many options at different skill levels within striking distance. Beni and the entire staff of the hotel are amazing. This was my third visit here over the years and they never disappoint. Breakfast is amazing with homemade tea mixes, granolas and breads......and the views from the balconies and the lounge are incredible. I also love that the hotel sits above the the town a bit, so it’s very quiet! The breakfast was great with good cold cut fresh delivered bakery, and wide variety of tea. The room are clean, comfortable and with good view. The young lady who checked us in was so friendly and helpful. However, I have the feeling that the morning woman staff has shown some attitude to Asian like us. She acted totally different when American guests were in the house. Thats the only thing that made us feel incomplete about this lovely hotel. Still highly recommend for visitors. Bed was comfortable. Great view of majestic mountains outside our window and balcony. Good breakfast and breakfast space. Friendly and welcoming staff. For a small fee laundry was done for us. Very important when traveling for several weeks. 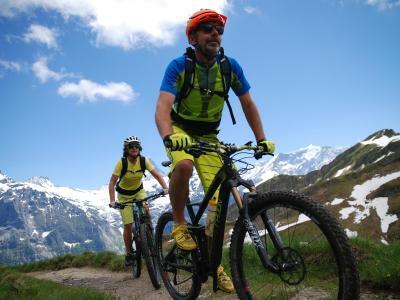 Hotel Lauberhorn - Home for Outdoor Activities This rating is a reflection of how the property compares to the industry standard when it comes to price, facilities and services available. It's based on a self-evaluation by the property. Use this rating to help choose your stay! Offering views of the North Face of the Eiger and direct access to ski slopes, hiking and mountain bike trails, Hotel Lauberhorn - Home for Outdoor Activities is a 15-minute walk from the Firstbahn Cable Car and the center of Grindelwald. All rooms have a balcony. 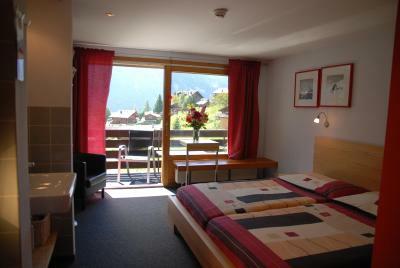 The south-facing rooms offer views of the North Face of the Eiger. 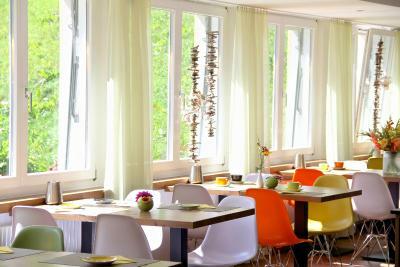 The daily breakfast includes fresh local products and is available in the breakfast room which offers panoramic views of the surrounding mountains. 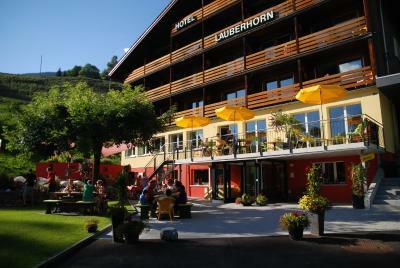 Free WiFi access is available in public areas of Hotel Lauberhorn - Home for Outdoor Activities. The Finnish sauna can be used at a surcharge. Tickets and ski passes are available at the reception. 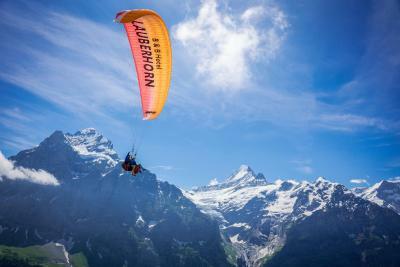 The owner of the hotel is a licensed paraglider and offers tandem paragliding flights. 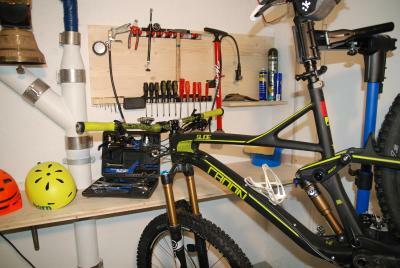 A lockable storage room for bicycle and ski equipment, including a ski boot dryer, is available. On the day of departure, guests can use a shower room and dressing room. Free parking is available on site. A bus stop is right outside the hotel. Buses pass frequently and can be used free of charge with a hotel reservation and guest card. A transfer service from and to Grindelwald Train Station is offered on arrival and departure. 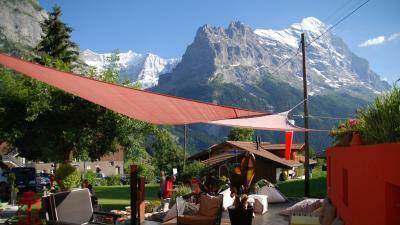 When would you like to stay at Hotel Lauberhorn - Home for Outdoor Activities? This stylishly furnished room with an individual color concept is equipped with a north- or east-facing balcony overlooking the surrounding mountains. It features a TV and a bathroom with a shower, a toilet and a hairdryer. Maximum occupancy is 2 adults. Please note that children cannot be accommodated in this room type. This contemporary furnished room is equipped with a flat-screen TV and a north-facing balcony overlooking the surrounding mountains. The bathroom features a shower, a toilet and a hairdryer. This contemporary decorated room has an individual color concept and is equipped with a flat-screen TV and a balcony facing the famous north wall of the Eiger mountain. The open bathroom features a shower, a sink and a hairdryer. The toilet is separate. This contemporary decorated room has an individual color concept and is equipped with a flat-screen TV and a south-facing balcony with a view of the north wall of the Eiger mountain and the surrounding mountains. The bathroom features a shower, a toilet and a hairdryer. The unit consists of a double room and a single room with an individual color concept and features a flat-screen TV and a south-facing balcony with a view to the north wall of the Eiger mountain and the surrounding mountains. This contemporary furnished room has an individual color concept and features a flat-screen TV and a north-facing balcony overlooking the surrounding mountains. The bathroom has a shower, a toilet and a hairdryer. This renovated budget room is contemporary furnished and is located on the top floor with a sloping roof. The bathroom is separated by a glass door. This contemporary furnished room has a double bed and a bunk bed (size 90 x 75 in) and features a north-facing balcony overlooking the surrounding mountains. It is equipped with a flat-screen TV and a bathroom with a shower, a toilet and a hairdryer. the hotel is located on the sunny side of the grindelwald valley in complete tranquillity, about 15 minutes walk downhill to the village (train station) or 5 minutes by bus which stops right outside the building (free of charge). 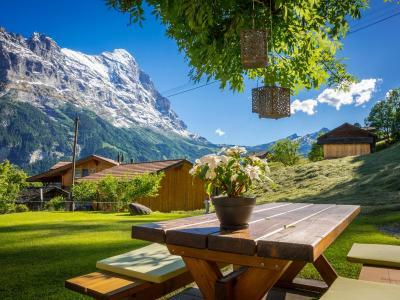 the view to the eiger mountain range is spectacular and we are at the gateway of various walking and biking tours as the trails literally lead to and from the hotel. enjoy the mountains on our new sundeck with chill music, a refreshing footbath and a cool beer! during winter season; with advanced notice the hotel shuttle-service is available at 9.15pm from the train station Grindelwald back to the hotel. 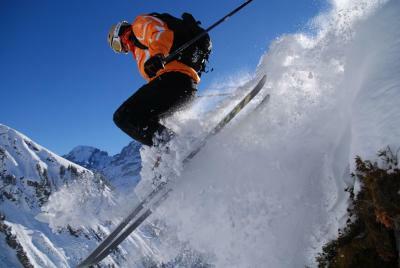 House Rules Hotel Lauberhorn - Home for Outdoor Activities takes special requests – add in the next step! Hotel Lauberhorn - Home for Outdoor Activities accepts these cards and reserves the right to temporarily hold an amount prior to arrival. Please note that the booking confirmation entitles you to a free ride in a local bus from Grindelwald Train Station to the hotel. If the local bus does not operate, pick-up is possible from the train station on the day of arrival between 15:00 and 21:00. A late check-in from 21:00 to 23:00 is possible upon request at a surcharge. Check-in after 23:00 is not possible. The shower arrangement in our room (cubicle separated only by a curtain in the room, and not in a separate room like the toilet) may be slightly inconvenient if you weren't travelling with someone you are close with. 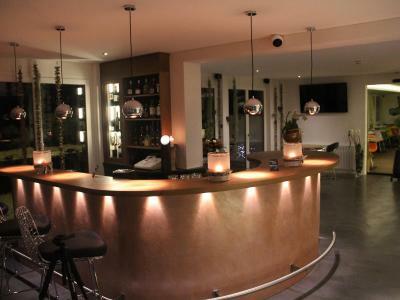 The hotel is cosy, modern and clean, and the staff are very friendly and knowledgeable re the area. We stayed in a room with balcony with a breathtaking view of the North Face of the Eiger which was one of the highlights of our stay in Grindelwald. We were also able to use the sledges in the hotel, and were recommended best sledging routes on Grindelwald First by hotel staff. The hotel is conveniently located, away from the busier main street, but still close enough to Grindelwald Firstbahn and the railway station by bus or foot. We thoroughly enjoyed our stay. Staff was really polite and friendly, helpful. Location is great, the view from the window is breathtaking. Hotel is giving some discounts for atractions, like to lift up to the Grindelwald First is 42 CHR instead of 60 CHR per person, also local buses is for free for all your stay. Hope we have our own kettle inside the room. Wish for a bigger bathroom. Excellent location, helpful staff, comfy rooms. Bus pass into town but an easy walk. View from balcony amazing. Shower area can be improved. 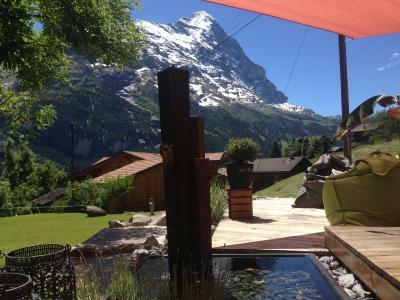 Hotel with an excellent view of Mount Eiger. Breakfast served was good with almost everything homemade by the owner. Easy parking. The view from our room was simply to die for! The free parking is also very much appreciated, as well as easy access to public transport. unfriendly service attitude(only a person who work as an receptionist) Hot water is allowed only before 9 pm.